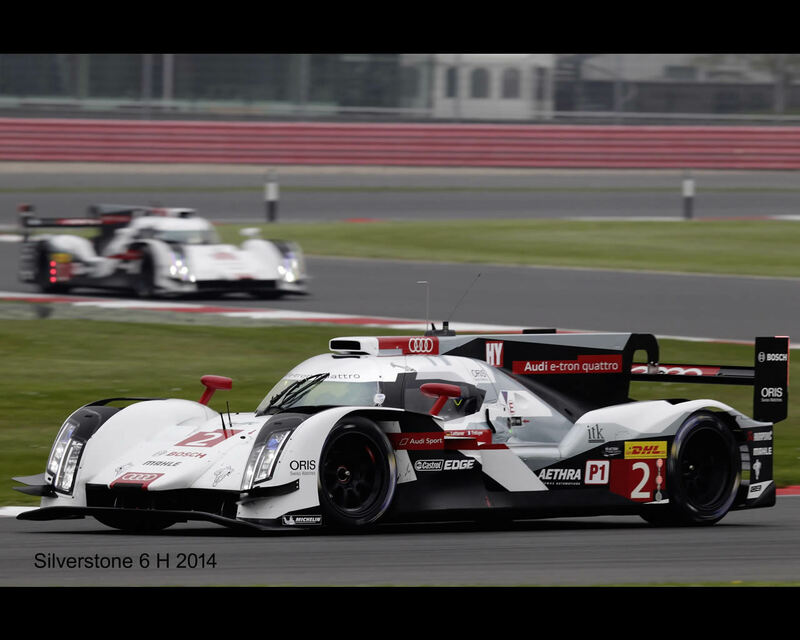 The 2014-generation Audi R18 e-tron quattro is the most complex race car ever built by Audi. At first glance, the new hybrid sports car appears like a continuous further development of the World Championship winning car and Le Mans winner of the past two years. However, due to the new LMP1 regulations that come into effect in 2014, Audi Sport has actually redeveloped every single component. The basic elements of the Audi R18 e-tron quattro’s new configuration were defined back in 2012 and the design of all the single components started at the end of 2012. 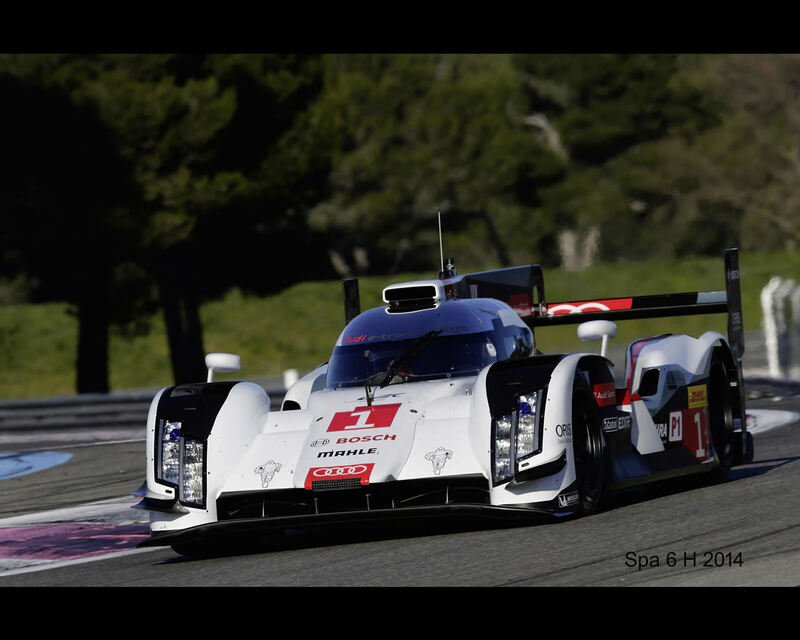 The new LMP1 sports car was rolled out in the fall of 2013 followed by track tests of the most recent R18. 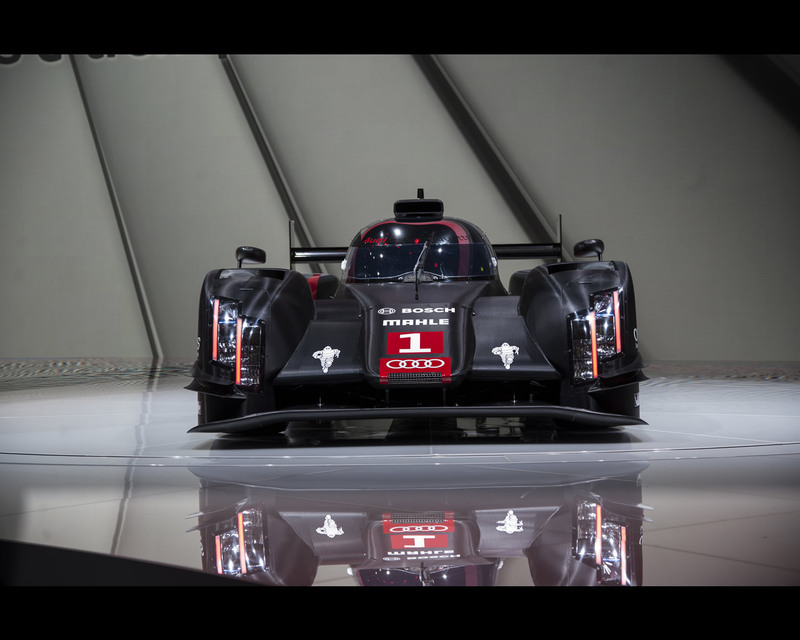 -Never before has a race car been powered by technology as complex as the one used in Audi’s new LMP1 sports car. The TDI engine, which sets the benchmark in terms of efficiency, remains a time-tested and important element of the overall concept. The further developed V6 TDI unit of the Audi R18 e-tron quattro makes a crucial contribution to the car’s compliance with the energy specifications of the regulations. 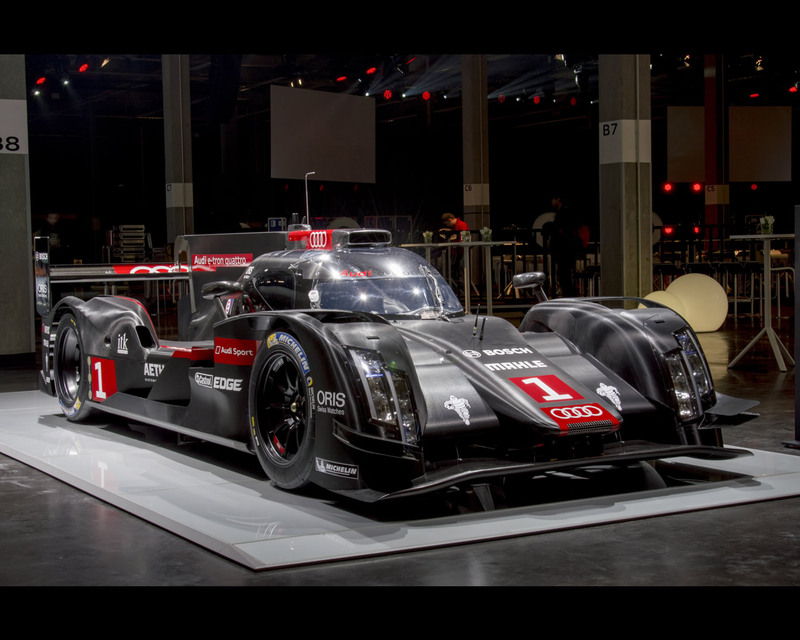 The new R18 has to do with up to 30 percent less fuel than its immediate predecessor. In addition to the internal combustion engine, the powertrain concept for the first time, features the integration of two hybrid systems. As in the past, a Motor-Generator-Unit (MGU) during braking, recovers kinetic energy at the front axle which flows into a flywheel energy storage system. . After testing various energy recovery systems, Audi decided to compete in the class of up to two megajoules of recuperation energy at Le Mans. For the first time, the turbocharger of the internal combustion engine is linked to an electrical machine which makes it possible to convert the thermal energy of the exhaust gas flow into electric energy – for instance when the boost pressure limit has been reached. This energy also flows into the flywheel energy storage system. When the car accelerates, the stored energy can either flow back to the MGU at the front axle or to the innovative electric turbocharger, depending on the operating strategy. The overall design of these systems and their direct impact on engine and powertrain management require highly complex coordination and tuning work. Audi Sport initially performed theoretical analyses and simulations followed by rig testing and, since October, by track tests. The options available to the drivers and engineers as a result of the new technology are now more extensive than ever before. Significantly changed conditions for the aerodynamicists New freedoms, accompanied by greater restrictions – this is how the new framework conditions for aerodynamics can be put in a nutshell. 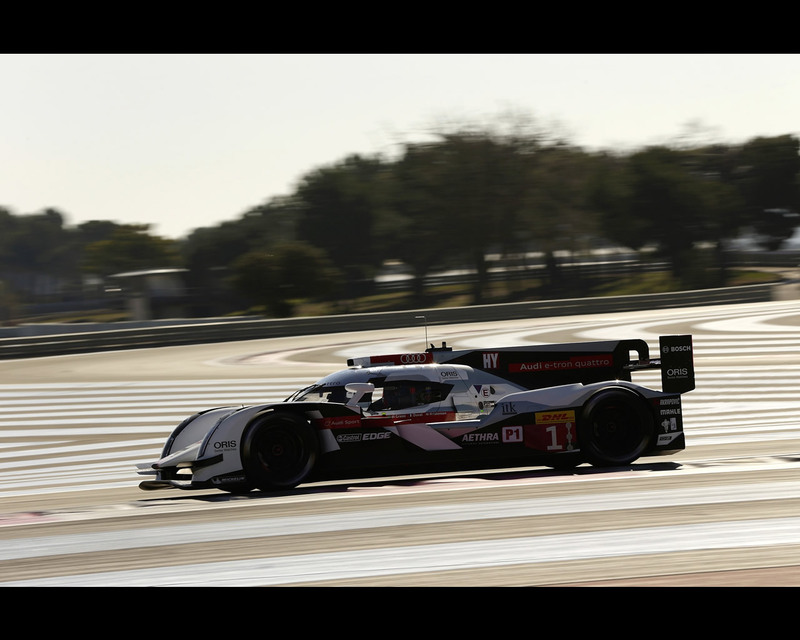 Some examples: The 10 centimeter narrower body of the new LMP1 sports car means that the front of the R18 becomes mathematically smaller – which is an advantage. The bodywork accommodates slimmer wheels, which, in turn, reduces aerodynamic drag. This is contrasted by other innovations that do not provide any advantages in aerodynamics. At 1,050 millimeters, the race car has to be 20 millimeters higher than before and larger cockpit dimensions are prescribed as well. This leads to less favorable aerodynamics. The lower overall width of the car results in a slimmer underfloor. In addition, it features a completely different shape in the area of the cutouts for the front wheels. Consequently, the area that can produce downforce becomes smaller. With respect to designing the front end, the engineers enjoy new freedoms. Instead of a diffusor, a genuine front wing with a flap may be used for the first time. This promises aerodynamic advantages and lower costs, as this part of the bodywork will lend itself to easier modification to suit the various race tracks. In the past, it was necessary to produce different bodywork assemblies. On the other hand, greater limits have been imposed on the aerodynamic design freedoms at the rear end. Use of the exhaust gas in the area of the rear diffusor, as in the case of the 2013-generation Audi R18 e-tron quattro, is now prohibited. Further improvement of safety. The new monocoque has to resist higher loads. At the same time, it is reinforced by additional layers of fabric that are hard to penetrate in the case of a concentrated impact. This reduces the risk of intrusion by pointed objects in accidents. For the first time, wheel tethers are prescribed. They connect the outer assemblies of the front wheel suspension with the monocoque and the ones of the rear suspension with the chassis structure. Each of the two tethers required per wheel can withstand forces of 90 KN – which equates to a weight force of nine metric tons. Another new feature is a CFRP structure behind the transmission – the so-called ‘crasher’ – which absorbs energy in a collision. This is another example of the considerable challenges faced by the Audi engineers, as all these innovations increase weight, in addition to the second hybrid system. Audi’s previous Le Mans prototype weighed 915 kilograms. But in the future the car’s weight may be reduced to 870 kilogram – which means that Audi’s ultra-lightweight design technology reaches a new dimension. A large number of further innovations – for instance in the areas of vision and interior ergonomics – characterize the new Audi R18 e-tron quattro that will be making its racing debut in the 6-hour race at Silverstone (Great Britain) on April 20, 2014. The highlight of the FIA World Endurance Championship (WEC) will be the Le Mans 24 Hours on June 14/15, 2014. 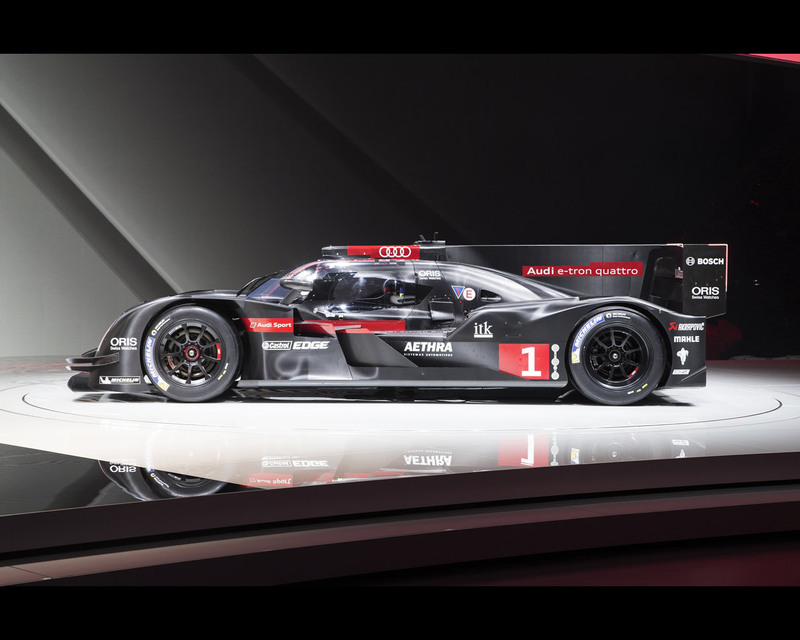 The aim is clear: Audi is setting its sights on continuing to maintain the leading role it has enjoyed in sports prototype racing since 2000 and on again demonstrating ‘Vorsprung durch Technik’ at Le Mans. Audi has developed a new concept for the R18 e-tron quattro’s ergonomics for the 2014 season. The configuration of the elements in the cockpit is even more logical now, their functions have been rethought, and the seating position has been improved. This makes it easier for the Audi drivers in the FIA World Endurance Championship (WEC) to operate the controls of the hybrid sports car. The range of tasks is growing: The Audi drivers not only have to pay the same attention to safety, speed and precision on track as before, but now have to get an exact handle on efficiency as well. The maximum consumption per lap specified by the regulations requires utmost discipline to avoid penalties. To make optimal concentration easier, the drivers’ work in the cockpit should involve as little effort as possible. The innovations start in the foot well. The drivers no longer operate the clutch using a foot pedal but by means of paddles behind the steering wheel. “This is a principle I’m already familiar with from other race car categories which makes it easier to operate the clutch,” says Audi factory driver Lucas di Grassi describing the advantages. The configuration of the controls between the dashboard and the steering wheel has changed as well. “Our objective was for the driver to be able to reach all the functions he frequently uses as easily as possible without having to take his hands off the wheel,” explains Chris Reinke, Head of LMP at Audi Sport. One of the new features is a multi-functional rotary switch for selecting tasks that used to be performed by using various controls. Two push-buttons make it possible for the driver to easily change individual functions to adjust the car’s balance, for instance through traction control or brake force distribution. As balance changes when the fuel load decreases, the driver can quickly readjust the set-up of his race car this way. 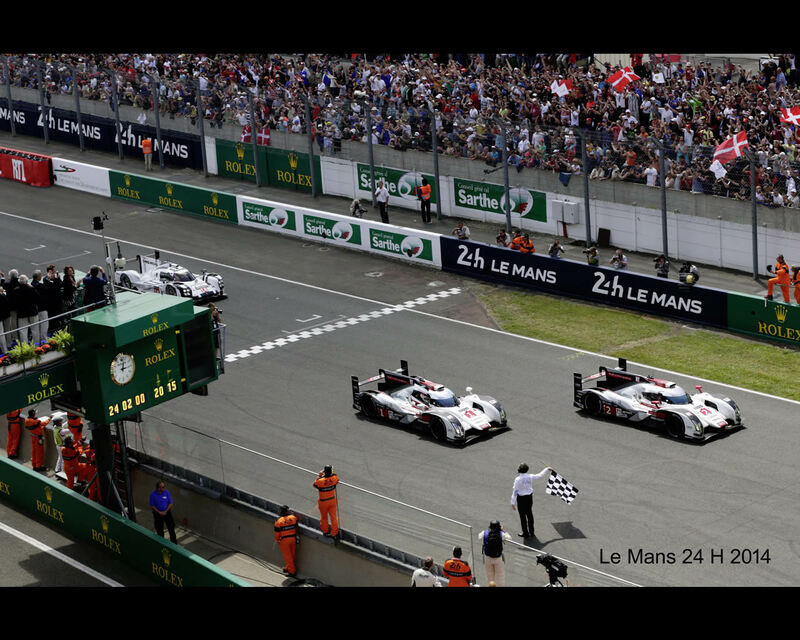 In front of nearly 300,000 spectators, Audi continued its unique string of victories in the Le Mans 24 Hours. In the 82nd running of the world’s most important endurance race, Marcel Fässler/André Lotterer/Benoît Tréluyer (CH/D/F) and Lucas di Grassi/Marc Gené/Tom Kristensen (BR/E/DK) made for a one-two Audi victory.